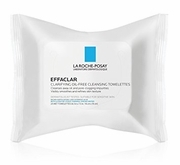 Effaclar towelettes are perfect for all skin types to cleanse, unclog pores and remove dirt & oil. The end result is a clearer, smooth complexion. 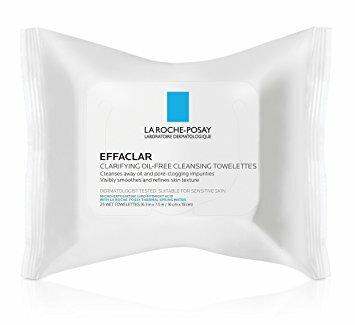 Men and women enjoy the towelettes whether part of their skincare regimen as well as an after gym , mid work day refresh. Ingredients: Water, Isopropyl Lauroyl Sarcosinate, Poloxamer 184, Propylene Glycol, Cocamidopropyl Pg-Dimonium Chloride Phosphate, Glycerin, Dimethicone, Octyldodecanol, Ethylhexyl Palmitate, Sodium Benzoate, Sodium Cottonseedamphoacetate, Capryloyl Salicylic Acid, Zinc Pca, Glyceryl Stearate, Ceteareth-25,Ceteth-2, Cetyl Palmitate, Polyquaternium-7, Disodium Edta, Sodium Chloride, Citric Acid, Guar Hydroxypropyltrimonium Chloride, Phenoxyethanol, Potassium Sorbate, Tetrasodium Edta.